Alicia is helpless. 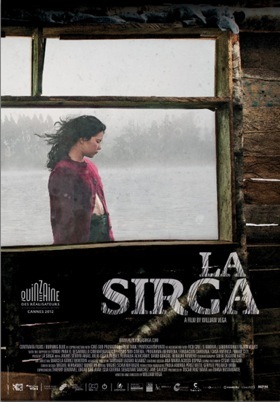 Fleeing the armed violence that has claimed the lives of those dearest to her, she ends up in La Sirga, at the guesthouse of Oscar, the only family she has left. Here, on the shores of a great lake in the Andes, she tries to rebuild her life. But this place, where she feels safe, is not spared by the fighting, The return of Freddy, the son that Oscar has been awaiting for years, his enigmatic intentions and his possible link with the warring factions bring La Sirga what Alicia fears the most.